AllBrightDebbie Wosskow, the CEO of Love Home Swap, and Anna Jones, the former CEO of Hearst Magazines UK. 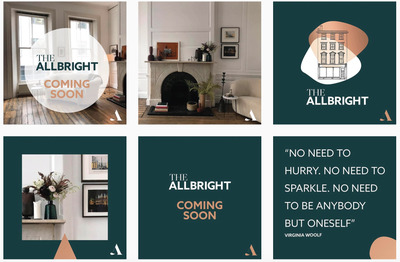 AllBright was launched last October by Love Home Swap founder Debbie Wosskow and ex-Hearst UK CEO Anna Jones. The company pledged to back female founders with tens of millions of pounds but the company has little over £1 million to invest. The AllBright crowdfunding platform has been shut down but a new 5-storey private members club has been announced. AllBright’s founders are running their own fashion startup called ShareStyle on the side. AllBright, a company created to finance and support female founders, has made a limited number of small investments after struggling to find the tens of millions it wanted to raise. The London-based company has also lost several key members of staff and shut down its crowdfunding website. Reports suggested that AllBright set out with plans to raise at least £10 million for its female founders fund by the end of 2016. But the company has raised little more than £1 million for the fund, according to one source with close links to the company. AllBright is now setting up a private members club called “The AllBright” for working women. The club was featured in The Sunday Times earlier this month. Launched in October 2016 by Love Home Swap founder Debbie Wosskow and ex-Hearst UK CEO Anna Jones, AllBright has also set up an academy to provide female founders with mentoring, and launched a festival for female founders called FoundHER. Female founders are significantly underfunded compared to their male counterparts, with only 10% of global venture capital funding going to female-led businesses in 2016, according to The CrunchBase Women in Venture Report. The efforts of companies like AllBright are important, which is why it’s worth taking a look at AllBright’s success and impact. AllBright announced last month that it had raised £1.85 million to pay for its operations, which includes setting up the new members club. The capital, although a relatively small amount, was very much needed, according to one person familiar with the situation. However, questions are being asked about how much money AllBright has to invest in female founders. AllBright planned to back female founders through an institutional fund, an EIS (Enterprise Investment Scheme) fund, and a crowd/angel platform, according to a document leaked to Business Insider. The document, titled “Invest in The AllBright Group Ltd,” shows how big AllBright wants each of the investment vehicles to become in the next three years. Business Insider asked AllBright, which counts Lord Davies of Abersoch and Sherry Couto CBE among its advisers, how much money it’s raised so far to invest in female founders but the company refused to share the number. AllBright was hoping to tap up high net worth individuals and angel investors but many of them are reluctant to invest, according to three people with knowledge of the matter. Jones said AllBright has backed at least six startups led by female founders with varying cheque sizes, which Business Insider believes to be less than £50,000 each. Startups backed by AllBright include Elvie, Fluidly, Piccolo, Sparrho, Fluidly, and Dem DX, according to Jones. One female founder who wishes to remain anonymous told Business Insider they got “no sense” that AllBright had any money to invest in them when they arranged a meeting. The AllBright crowdfunding platform — designed to be an alternative platform for female founders to raise money — was taken offline within months of it going live. It briefly allowed members of the public to invest £100 or more in new startup ideas invented by female founders. “We ran our crowd platform for a few months but it was a costly platform and there wasn’t a huge demand from founders for this type of funding so we decided to focus instead on building our angel community,” said Jones. AllBright seems to be happy to experiment with a few ideas to see what works. That includes setting up a new designated space for women that is set to open in February 2018. The AllBright club is based in a five-storey Georgian townhouse located at 11 Rathbone Place in Bloomsbury, London. Full membership is priced at £600 per year, and £540 per year for under 27s. There is also a £250 joining fee. AllBright is emailing women in the UK tech scene and asking them to sign up, according to another leaked email seen by Business Insider. A number of key people left AllBright between April and October including the head of the AllBright investment committee, the investment director, three investment execs, the investment relations director, the investment relations manager, and the chief finance officer. “AllBright is more focused on brand and events, so those that joined to invest feel like it’s completely different to what they signed up for,” a venture capital partner in London, who wishes to remain anonymous, told Business Insider. The VC partner said a number of AllBright staff had applied for a job at their firm. People have left AllBright because it doesn’t have the capital to invest that they hoped it would, another source said. Jones denied that people left for this reason. She added that she’s built lots of great teams over the years but explained that “you don’t always get it right.” There was a “very difficult situation” with a CFO, Jones said, before going on to say another left because “startup scrappiness” wasn’t for them, while the head of investment left to go on maternity leave and another just left “to go on to something else”. 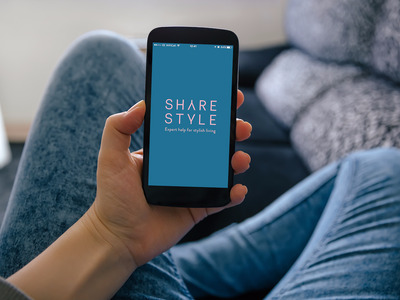 In addition to AllBright, Wosskow and Jones have founded their own fashion startup called ShareStyle, which also demands some of their time, according to someone with links to AllBright. The ShareStyle app allows users to book personal sessions with lifestyle experts, from personal stylists to event planners, interior designers, nutritionists, chefs, and photographers. Several of AllBright’s 20 or so staff also work on ShareStyle, according to LinkedIn. “Debbie and Anna are fundraising for AllBright and Sharestyle too, so there are a number of hungry mouths to feed and only so many places you can go for that capital,” a source said. Jones said that she and Wosskow spend the vast majority of their time on AllBright. “2017 has been an exciting year of growth for the three core areas of AllBright business. Our Fund has invested in six female-led companies and we are looking to add to this number by the end of the year. Our education platform for female founders — The AllBright Academy — launched in September and is already welcoming its third cohort of sign-ups. And inspired by the success of our well-attended events programme, we are now set to launch a physical space — The AllBright Club — to further consolidate this community of like-minded women and give them a place to thrive.